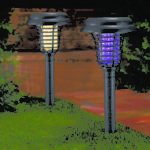 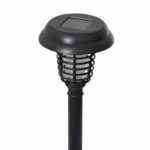 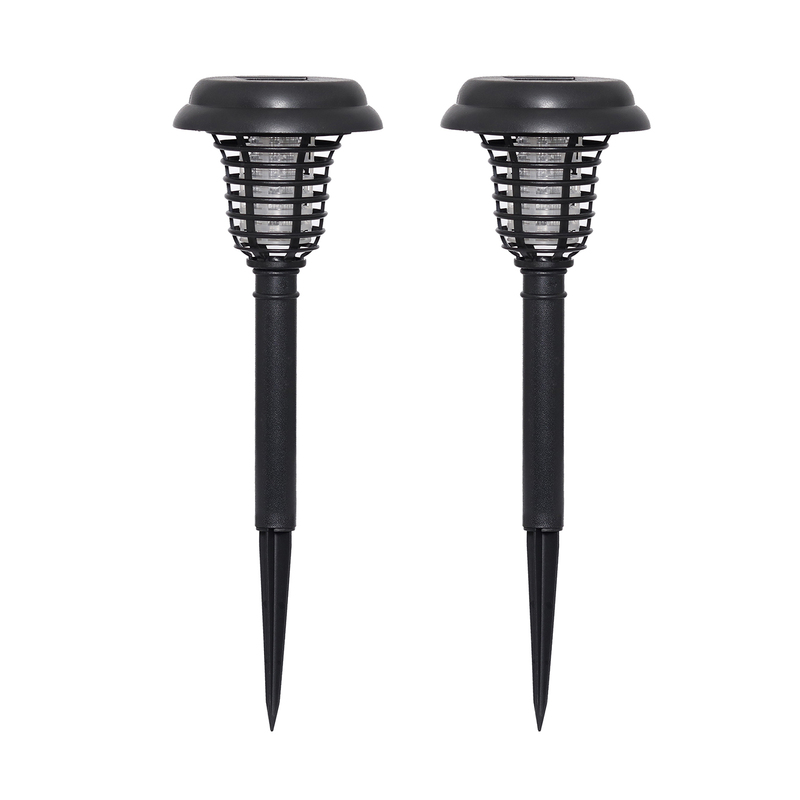 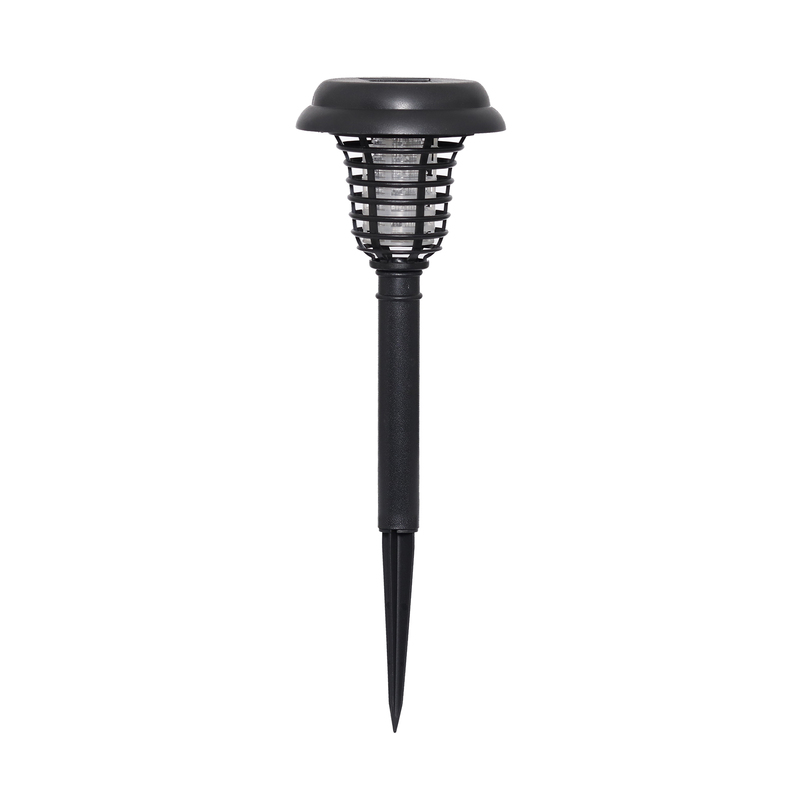 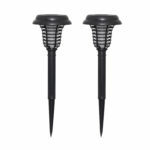 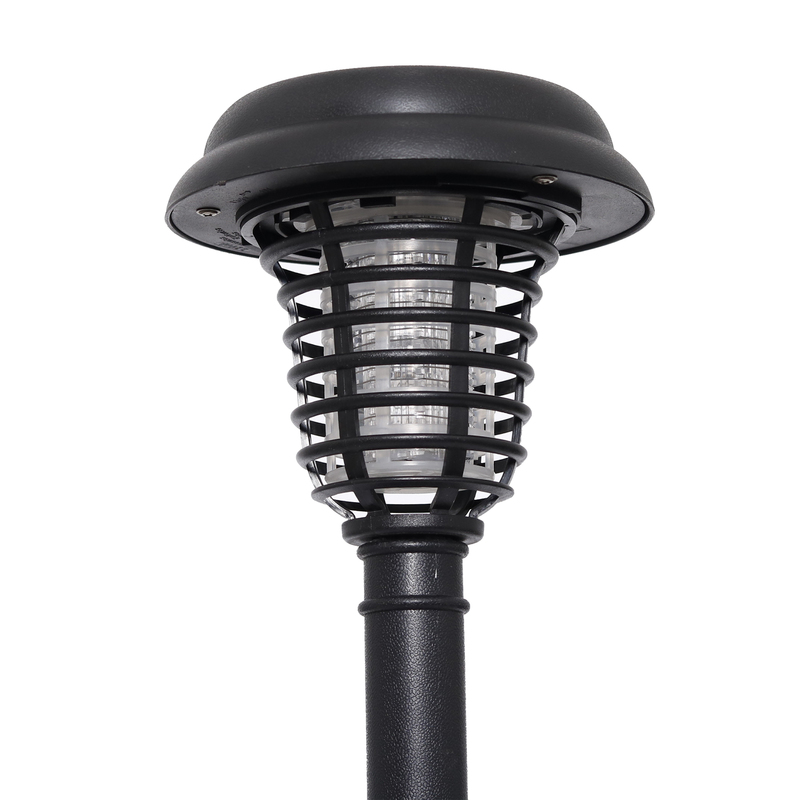 Enhance your landscape with these bug zapper solar powered lights. 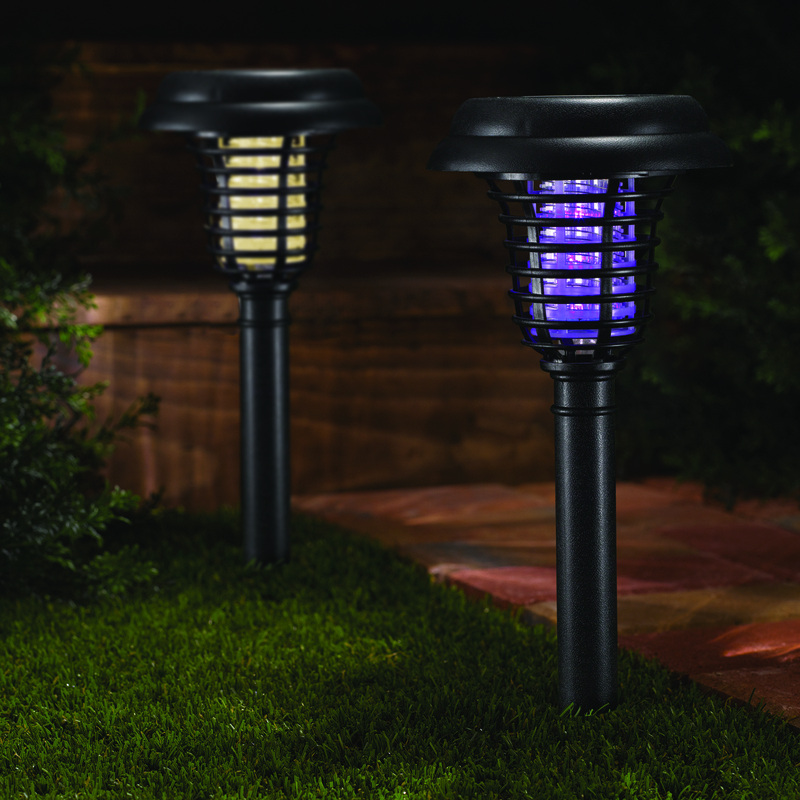 With the flip of a switch select the purple UV LED which attracts flying insects then zaps them with the jolt of an electric charge. 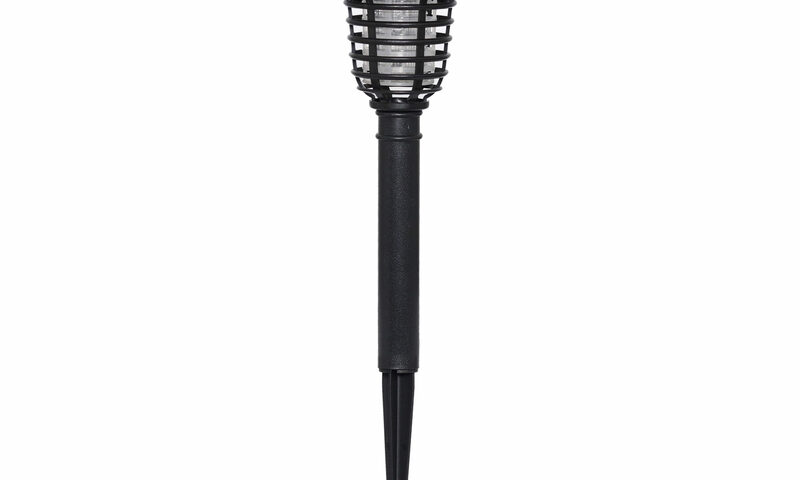 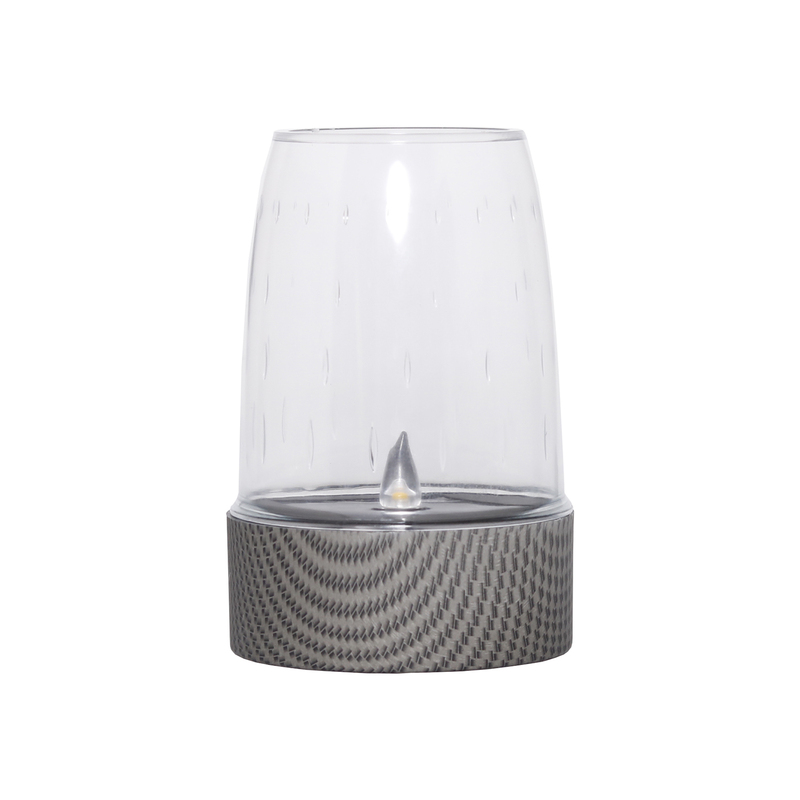 Select the amber warm white LED that converts this zapper into a traditional path light. 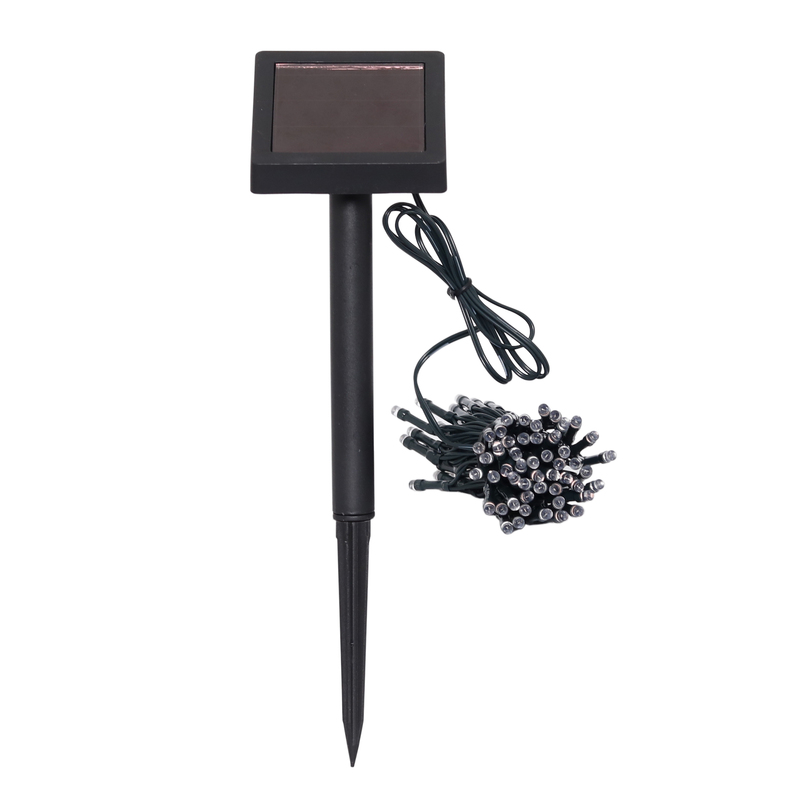 Installation is easy and no wiring is required. 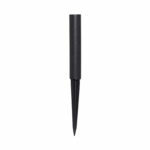 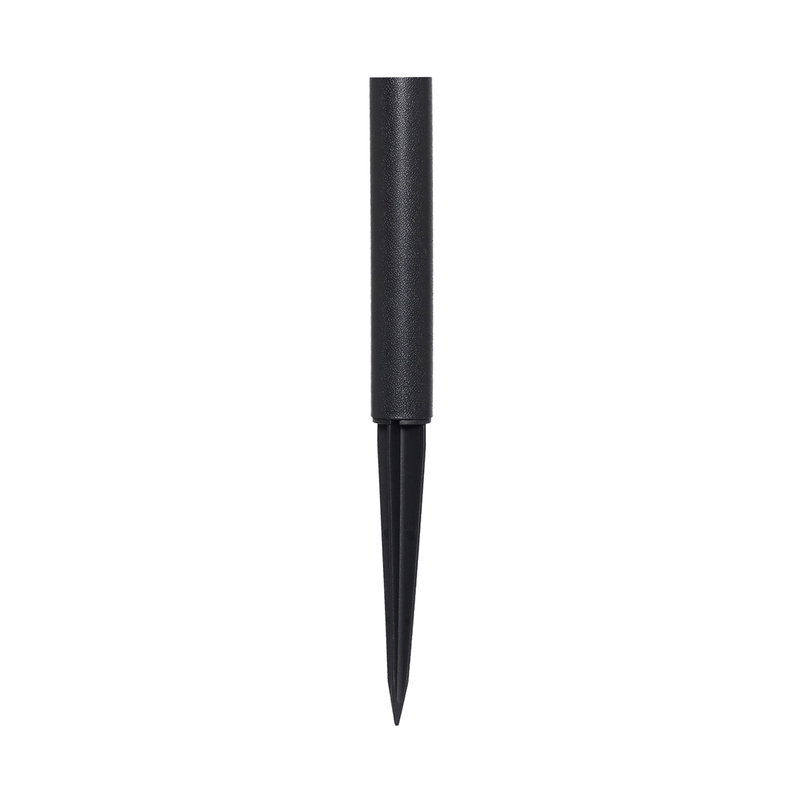 For maximum performance simply install in an area that receives direct sunlight. 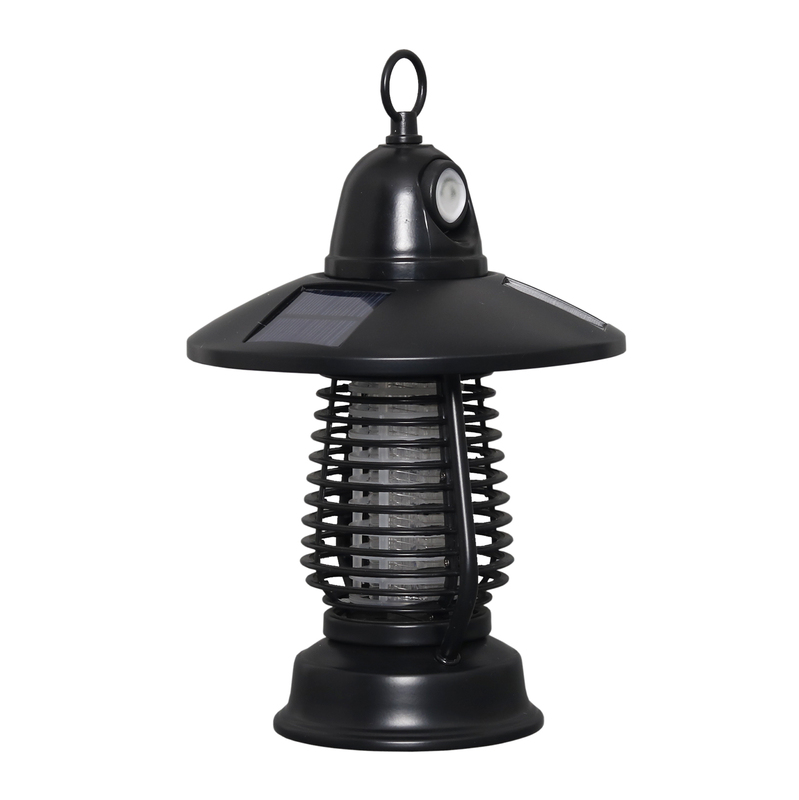 This chemical-free solar-powered zapper controls flying insects so you can enjoy the outdoors.